Below you can view all the homes for sale in the Smyrna Heights subdivision located in Smyrna Georgia. 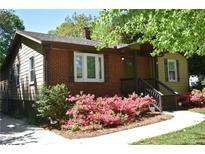 Listings in Smyrna Heights are updated daily from data we receive from the Atlanta multiple listing service. To learn more about any of these homes or to receive custom notifications when a new property is listed for sale in Smyrna Heights, give us a call at 404-998-4102. You Won'T Be Disappointed In This Top-End Renovation! MLS#6537249. Re/Max Greater Atlanta-Cobb. Just Behind The Back Yard And 2 Storage Sheds Is A Small Public Park With Playground For Kids. Don’T Miss This One!! ! MLS#6534246. Keller Williams Realty Atl North. Close To Downtown, East/West Connector And I285, I20, I75***Please Do Not Disturb Tenant***Show By Appointment Only- MLS#6521615. Virtual Properties Realty. Biz. This Is A Wonderful Home, Move In Ready, With Many, Many Upgrades. MLS#6510407. Ansley Atlanta Real Estate, Llc. Walk To Festivals, Smyrna Market Village, Wades, Silver Comet Trail, Food Trucks, Parks, Tennis, Pool, Boutique Shopping & The Battery At Suntrust Park! 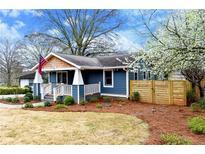 MLS#8519113. Keller Williams Realty. 2 Pane Windows,Updated Fixtures,2" Blinds,Built-In Shelving.Private Fenced Yard W Deck,Grilling Patio,Firepit & Gorgeous Shade Trees.Walk To Festivals,Smyrna Market Village,Wades,Silver Comet Trail,Food Trucks,Parks,Tennis,Pool,Shops & The Battery At Suntrust Park! MLS#6127776. Keller Williams Realty Signature Partners. Hurry This One Will Not Last! MLS#6006840. Re/Max Pure.